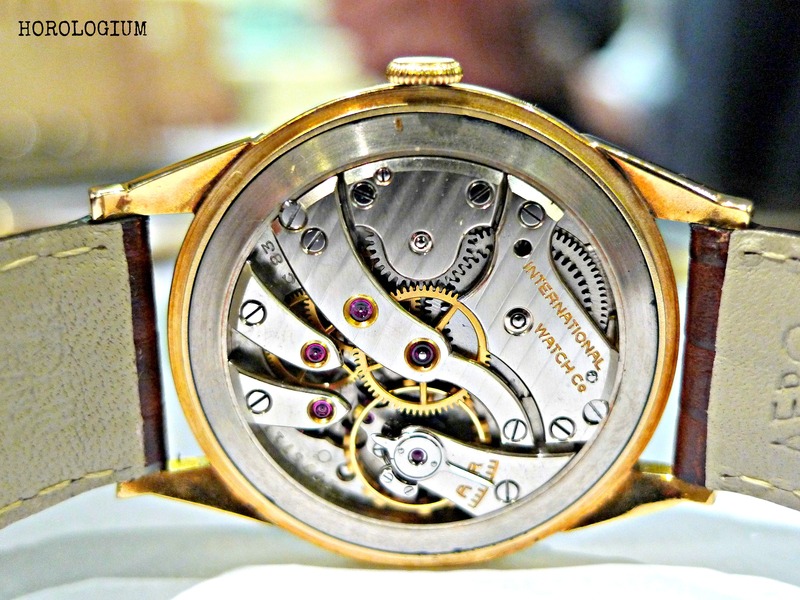 Having blogged about IWC’s classic Calibre 89, today I go a step back from that and look at an example of their Calibre 83, introduced in 1939 and generally understood to be a transitional calibre between pocket watches and wrist watches. IWC’s manual winding calibre 83 was produced in the 1930s to 1940s, and layout closely resembled the IWC pocket watch calibres of the same era, Cal.95 and Cal.98. One of the major alterations that was made to it during its life was the addition of Incabloc shock resistance when it was redesigned for use in the Mark X military watch. Although not as popular as the Calibre 89, and certainly less readily available, it forms an important part of this collector’s vintage IWC collection. In comparing the Calibre 89 with the Caliber 83, the most obvious difference is the seconds display. For me, I probably tend towards the 89, aesthetically. For some who collect these calibres, they prefer them in their military issued form of Mark XI for the Cal.89 and W.W.W. for the Cal.83. Both movements were utilised for many dress watches. This example is a 35mm 18ct gold watch from c.1945. It is in pretty good condition but is showing its age just a bit on the dial’s patina, though this is pretty much inevitable in a watch of this age, and part of its charm. ‹ How long does it take to ‘construct a clock’?